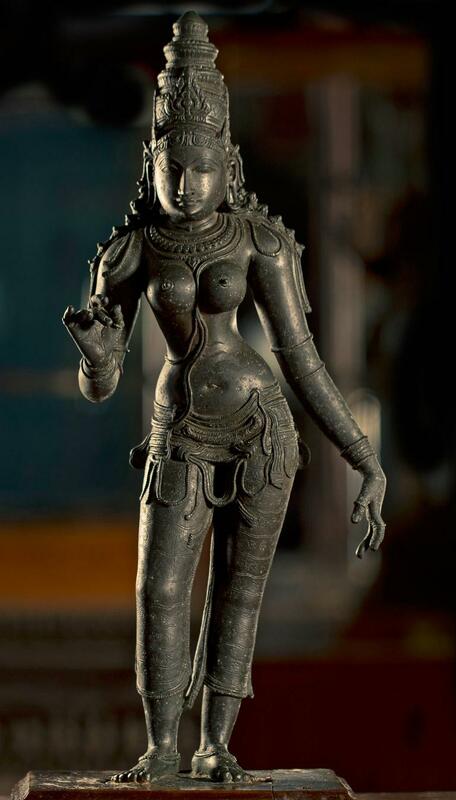 Devi is the feminine aspect of deity in Hindu mythology. This sculpture is an elegant piece of art. Here, the image is in standing posture. It has 2 hands and is in dwibhanga pose.